I have double and triple checked the spelling on everything, and WiringPi is installed. What am I missing? The problem is the space after the <. 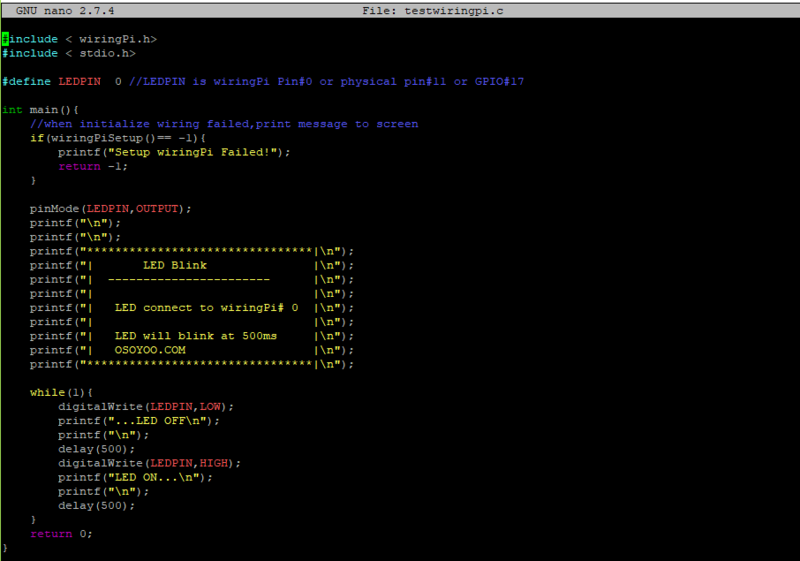 The system is looking for a file called " wiringPi.h" rather than "wiringPi.h". As the answer is already given I just want to share that you can use #include if you are using C++ (and not C). It will import all the libraries in the beginning. However, it will give increase the compilation time for the program. Not the answer you're looking for? Browse other questions tagged wiringpi or ask your own question. How to install wiringPi in Matlab Simulink for interface Raspberry Pi with ADC?